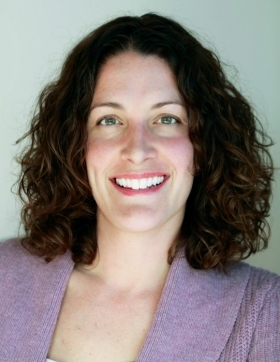 Dr. Rommie Amaro is a Professor and Schuler Scholar as the Department of Chemistry & Biochemistry at the UC San Diego. She was named the Director and Principle Investigator of the National Biomedical Computation Resource (NBCR) in 2013. She is the Associate Director of the Center for Research in Biological Systems, a member of UCSD Drug Discovery Institute, Co-PI of TR&D 1: Advancing Technologies for Atomic-to-subcellular Simulation and Discovery and Co-Director of Drug Design Data Resource (D3R). She is also the co-founder of Actavalon. In 1999, Dr. Amaro earned her B.S. in Chemical Engineering at the University of Illinois at Urbana-Champaign. From 2000-2001 she worked as an Associate Research Engineer at Kraft Foods, Inc. In 2005 she earned her Ph.D. in Chemistry from the University of Illinois at Urbana-Champaign for her work with Zaida Luthey-Shulten on computational biophysics. Her postdoctoral fellowship followed at the UC San Diego with National Academy Science member and Howard Hughes Medical Investigator, Dr. J. Andrew McCammon. In 2009 Dr. Amaro accepted an Assistant Professorship in the Department of Pharmaceutical Sciences, Computer Science, and Chemistry at UC Irvine. In 2012, she established the Amaro Lab in the Department of Chemistry & Biochemistry at UC San Diego, where her interests and expertise include atomic-level modeling, molecular & Brownian dynamics simulations, and computer-aided drug discovery. She is the recipient of many prestigious awards, to include the NIH New Innovator Award (2010), the Presidential Early Career Award for Scientists and Engineers (2010), and the American Chemical Society Division of Computers in Chemistry (COMP) OpenEye Outstanding Junior Faculty Award (2013). In 2016 she was presented with the American Chemical Society Kavli Emerging Leader in Chemistry and Kurt Shuler Faculty Scholar in Physical Chemistry awards. Research in the Amaro Lab is broadly concerned with the development and application of state-of-the-art computational methods to address outstanding questions in drug discovery and molecular-level biophysics. Her lab focuses mainly on targeting neglected diseases, chlamydia, influenza, and cancer, and works closely with experimental collaborators to catalyze the discovery of new potential therapeutic agents. Moreover, the talented group of researchers are also keenly interested in developing new multiscale simulation methods and novel modeling paradigms that scale from the level of atoms to whole cells, and beyond.